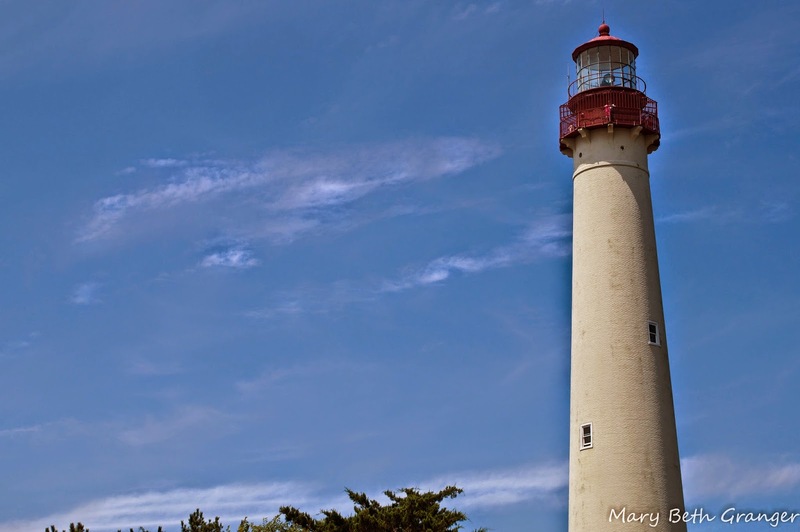 In the spring of 2014 we visited several lighthouses along the Jersey shore. 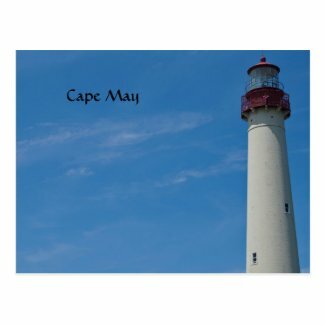 The southern most one that we visited was Cape May lighthouse. 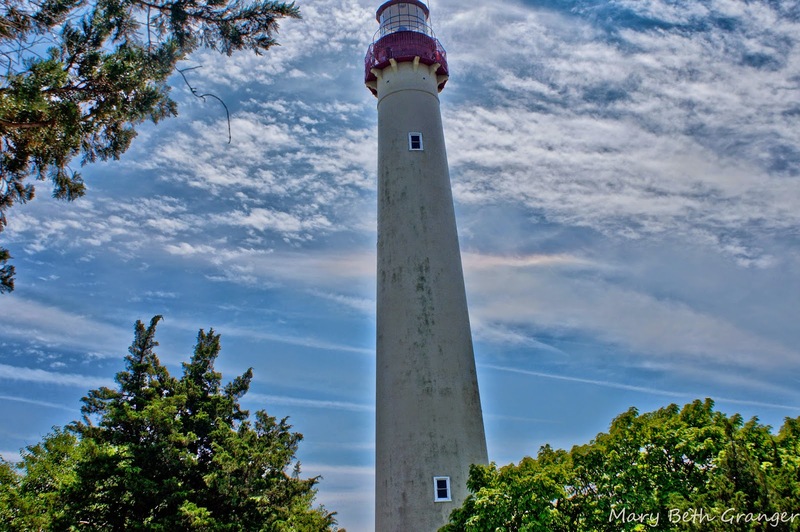 This lighthouse is located at the southern tip of the Cape May peninsula in Cape May point state park. This lighthouse was built in 1859 and was automated in 1946. It continues to be operational today. You can climb the 199 steps to the top of the tower for wonderful views of the Jersey shoreline and the coastal area. 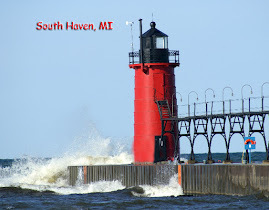 The current lighthouse is the third lighthouse to be located in this area. The first two are now under water due to erosion. It was a beautiful clear day when we visited the lighthouse and I was able to get several nice photos. The lighthouse is very tall and it was somewhat hard to get the entire lighthouse into the photo from without walking a ways down the beach. 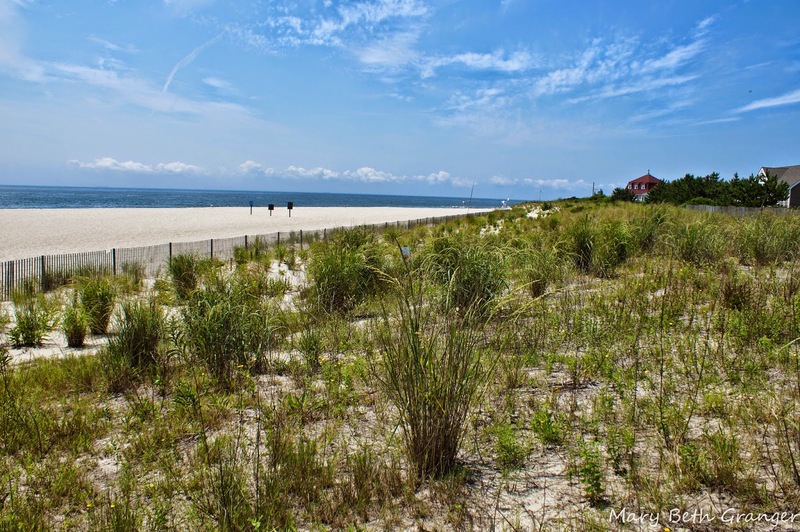 The photo on the right shows the view of the area walking down the beach from the lighthouse.